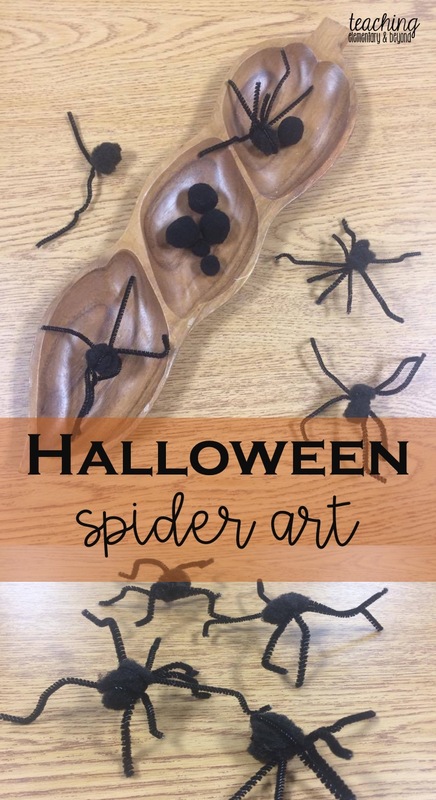 I love when children can express themselves using the creative arts. 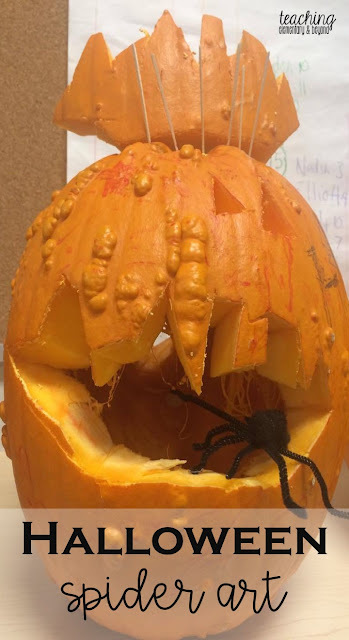 My colleague in the classroom next to mine shared their preparation for Halloween and were more than happy to let me take photos of their amazing creations and share them with you! 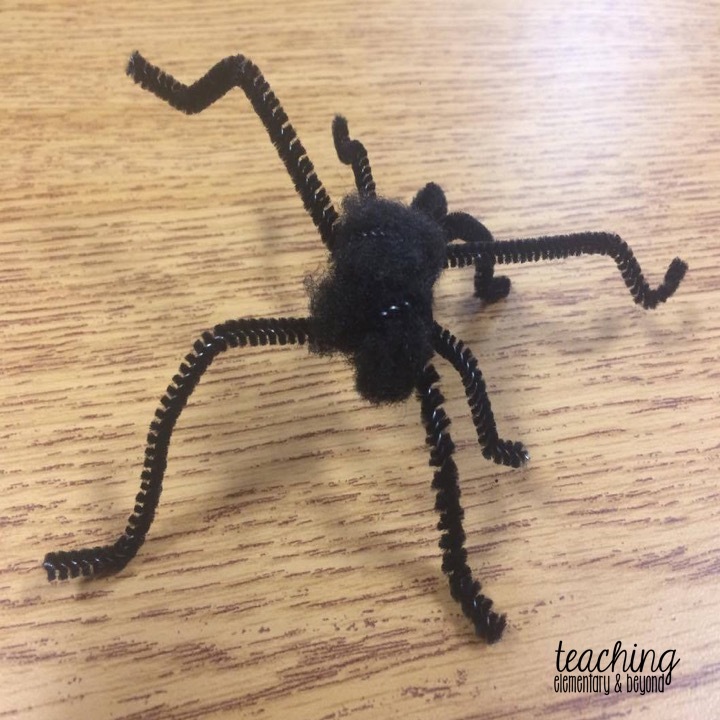 These spiders are super easy to make and are a great fine motor activity! First, grab a black pom pom and twist half of a pipe cleaner around it. Then, twist a second half pipe cleaner around it so it looks like the photo below. 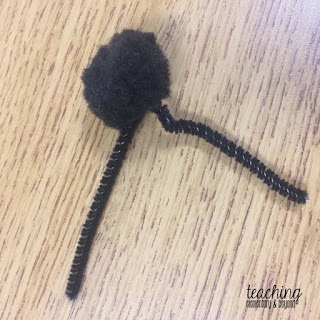 Finally, twist two more around the pom pom. 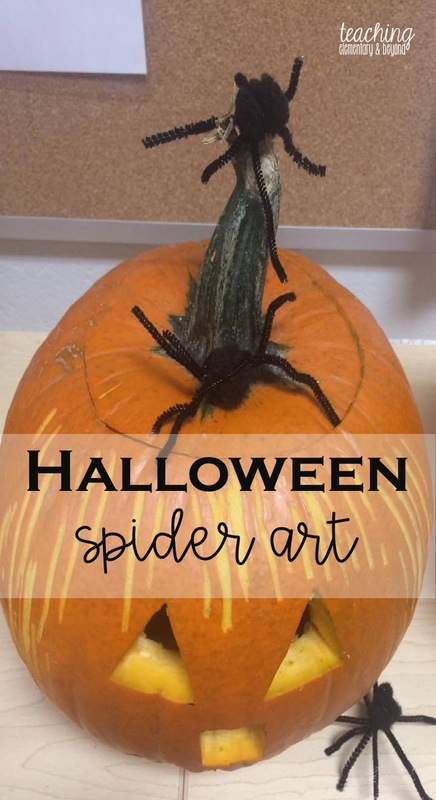 Twist and bend them to look like creepy legs! 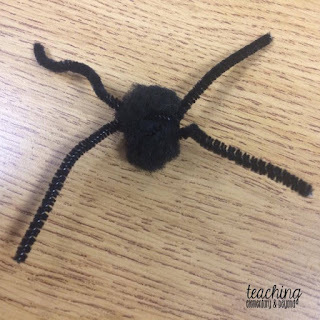 The students had a lot of fun creating a wide variety of different looking spiders! They really enjoyed hiding them all around the room - especially in and around their jack o'lanterns!